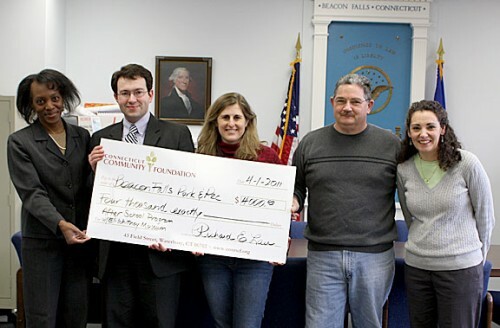 BEACON FALLS – The Parks and Recreation Commission secured a $4,000 grant from the Connecticut Community Foundation to bring Eli Whitney technical workshops to Beacon Falls students. The money will fund 14 hands-on after school programs for elementary and middle school students. The programs align with Connecticut Mastery Test objectives for science and math. Parks and Recreation commissioner Joe Rodorigo said he would like to thank the Conn. Community Foundation for the much needed and much appreciated donation. “It offers alternative activities that would not be possible without their funding,” he said. Rodorigo would also like to thank Erin Schwarz for her dedication in actively researching and attaining the grant and Alison Sirowich, Parks and Recreation chair, for coordinating activities with the Eli Whitney Museum.